Macaroni & Cheese The Best Ever. 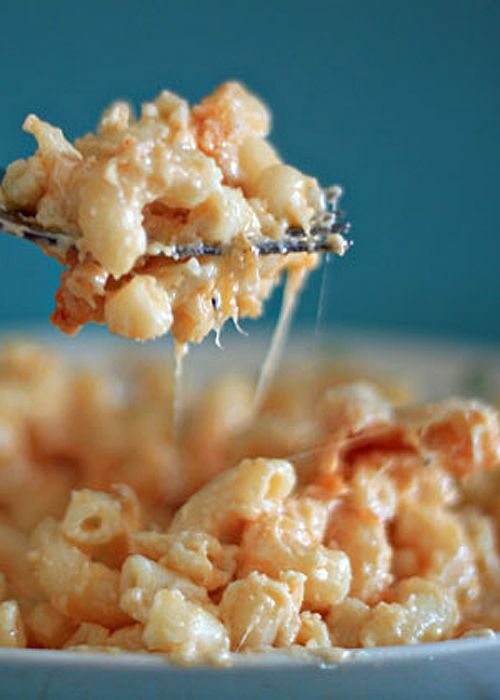 The best Mac & Cheese recipe ever. Seriously. I do not say its the best Macaroni & Cheese recipe ever. It would be incredibly noble cause to try every single one but technically speaking it will not be. Check out the source below to read more about this delicious dish. The best macaroni & cheese recipe ever. Seriously. Creamy, cheesy, straightforward, ooey, gooey – this macaroni & cheese will knock your socks off. To a medium saucepan over medium heat, add the butter. When the butter has melted, add the flour, salt, dry mustard, pepper, and 1/8 teaspoon smoked paprika. With a wooden spoon or whisk, continuously stir for three minutes. Add the milk in a thin stream, constantly stirring with a whisk. Continue to stir constantly until the sauce thickens, about 10-12 minutes. Remove from heat and add 2 cups of the cheese, stirring until melted. Pour the cheese sauce over the pasta and toss gently until all of the pasta is coated. Add half the pasta to a two-quart casserole dish(I like a tall 8-inch by 8-inch baking dish). Sprinkle on half the cheese. Add the rest of the pasta. Sprinkle on the remainder of the cheese then dusts lightly with the smoked paprika. Bake for about 25-30 minutes, until the dish, starts getting a slightly dry and a tiny bit brown on top. Serve, topping individual servings with cooked, chopped bacon if desired. *Please resist the urge to add more noodles to stretch the recipe. You need a lot of sauce with that pasta because the pasta soaks so much and it otherwise cooks down. Over-dry macaroni & cheese is such a disappointment – don’t do it! **Also resist the urge to add more cheese to the sauce. This can do weird things. Sprinkle more in between and on top if you must have more cheese.